Why build with Steel Frames? Working in the building industry, we are always on the lookout for the latest technological and product advances to ensure we’re ahead of the game in providing our customers with the best and latest building materials and methods. For its innovation, quality and strength, we couldn’t move past Bluescope’s TRUECORE® steel frames. The many benefits that these steel frames provide are not just for the builder, but also to the homeowner, and have solidified our firm belief that steel frames are definitely the future of framing. It is for this reason that we have chosen to build all of our granny flats exclusively with TRUECORE® Steel frames. A building frame made from BlueScope’s TRUECORE® steel is decision that will bring rewards long into the future for you and your family. TRUECORE® steel is 100% termite and borer proof. It is not treated with pesticides to keep termites from eating your frame, so it’s an ideal choice for those wanting to minimise the use of pesticides in their home. TRUECORE® steel won’t ignite or contribute to the spread of house fire, giving you added peace of mind. Their frames won’t shrink, twist or warp over time, so there’s less chance of sticking windows, jammed doors, and wavy rooflines and their innovative strength-to-weight ratio allows for wide spans and contemporary open plan designs to suit comfortable family living. TRUECORE® steel is even backed by a reassuring 50 year warranty for eligible applicants, so you know that your Granny Flat or new home will be built to last the test of time. 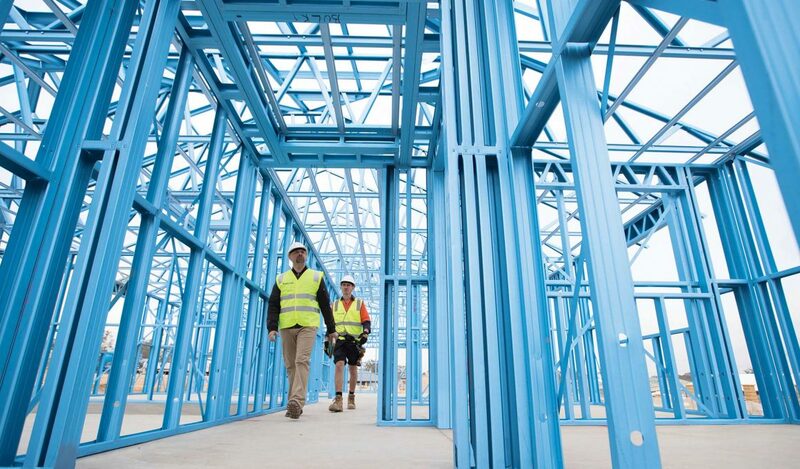 As the only Sydney builders exclusively using TRUECORE® steel frames, we have seen an increased demand from clients over the past 6-12 months as the benefits of building with steel frames become more widely known. From the builders perspective, it is a great and easy material to work with. The lightweight frames make installation a breeze and there is no excess material and rubbish to clean up after install, which is why it is beginning to gain so much popularity for framing carpenters as well. From an efficiency point of view, we have seen less delays in build time and process because of the ease of using these steel frames as well. We love working with and supporting Bluescope as trusted and reputable company and are proud to offer our clients their latest innovative product, TRUECORE® steel. TRUECORE® Steel is made by BlueScope, the manufacturers of COLORBOND® steel. TRUECORE® steel is made to all relevant Australian standards and tested for quality and consistency.